A studio tour with a difference this week - in that there is no studio! You can however visit artist Abel Kesteven later this month as part of Carshalton Artists Open Studios (which is this month now!!). Abel produces figurative pastels which he draws on location, and expressive ceramic sculputures (from his kitchen table). So here's a look at Abel in one of his "studios", Surrey Street Market in Croydon. Abel works using loose sheets of paper as seen above and aims to complete each piece in situ - I can't help but admire not only his skill as an artist but his confidence to stand in the street by himself drawing (something I've only ever done in a group!). All of Abel's work focusses on movement, whether that be people in the street in his drawings or groups of animals in his sculptural ceramic work. Abel was recently sent to the US by Cross Gate Gallery to draw the Kentucky Derby, and has exhibited his work both at that gallery and has exhibited at the Mall Galleries' Pastel Society show for four consecutive years. If you're local you may also recognise his work from Mine Gallery in Carshalton or the London Potters Annual Show. 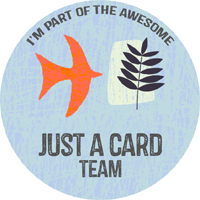 Visit Abel Kesteven during Carshalton Artists Open Studios on the weekends of 24/25 June and 1/2 July. Abel will be exhibiting at stop 5 on the trail - 362 Carshalton Road. 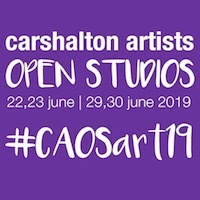 For details of all the artists taking part in the event and the trail maps head to the Carshalton Artists Open Studios website.